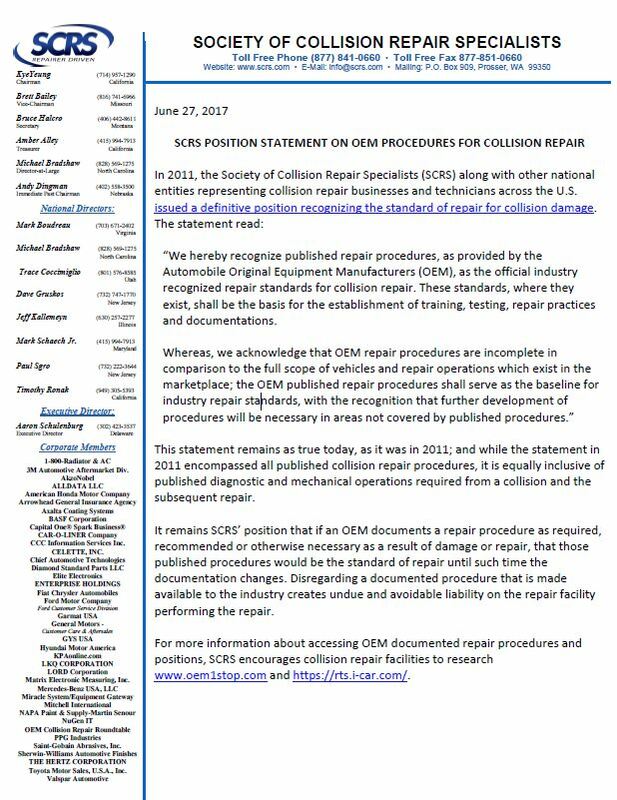 The Society of Collision Repair Specialists’ latest newsletter emphasizes its 2011 stance that OEM collision repair procedures are the “standard of repair” — and clarifies that the stance holds true for “mechanical” repair procedures such as diagnostics and calibration. “This statement remains as true today, as it was in 2011; and while the statement in 2011 encompassed all published collision repair procedures, it is equally inclusive of published diagnostic and mechanical operations required from a collision and the subsequent repair,” the organization wrote in an open letter contained in the June 2017 newsletter. Diagnostics and calibration were necessary before 2011, of course, but some in the industry might not have realized it until 2016, when OEMs and other experts began to stress such points. Actual OEM repair procedures and position statements (a repair instruction’s existence in one doesn’t preclude the other, so check both) can be accessed through the OEM1Stop and I-CAR Repairability Technical Support portals. For more on the 2011 letter and the upcoming discussion of repair procedures at the Chicago Collision Industry Conference this month, see here. 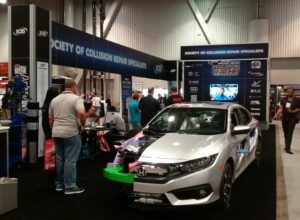 For collision-related diagnostics position statements from 2011 signatory Automotive Service Association and the Equipment and Tool Institute, see here and here. There’s more worthwhile content in the SCRS newsletter, including a letter from newly elected SCRS Chairman Kye Yeung, comments from repairers, links to all the movies in the group’s YouTube educational series, and estimating system tips from the Database Enhancement Gateway.